Anyone in the Bay Area want to come to a reading? I’ll be there. 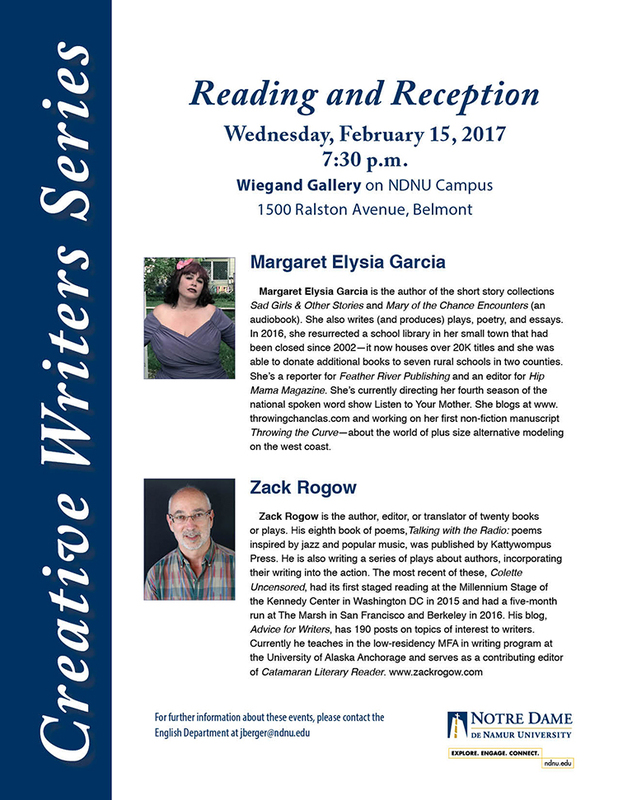 I’ll be doing a reading at Notre Dame de Namur in Belmont, CA on Feb. 15! Come out and see me.